Fannie Goree Wood was born on 22 January 1880 in Walker County, Texas. Solomon William Wood appeared in the US federal census of 1 June 1880 in Walker County, Texas. Other members of the household included Fannie Goree Wood, Martha Clarana Reed, Mary Jane Wood, Solomon William Wood Jr. and Green Alexander Wood. About 1896, a photographic portrait was made of William, Mary and Fannie Wood. She married Ira Edwin Haynie, son of Emmett Albert Haynie and Annie McCune, on 17 January 1900 in Grimes County, Texas. Ira Edwin Haynie and Fannie Goree Wood appeared in the US federal census of 1 June 1900 in Anderson, Grimes County, Texas, living with Ira's parents. The following appeared on 11 January 1929 in the Navasota Examiner: The "Grim Reaper" has been busy in our town, have had four deaths within ten days. On Friday afternoon at 7:30 Mrs. Solomon Wood passed away at the home of her daughter, Mrs. Ira Haynie. Mrs. Wood was making her home with Mrs. Haynie due to the fact that her grandson Billie Wood who she had raised left for college in September and it left her alone. Billie came home for the holidays and fell a victim of the flu. His grandmother stayed with him until she too was taken sick and it was more than her strength could over come. She was 75 years old in July. Everything that loved ones and physician and nurse could do was done for her but to no avail. Her suffering was intense, but she bore it as she always bore her sufferings with patience. She was a devoted mother, one who could not do too much for her children and grand children. She was a member of the Christian church uniting when a girl a firm believer in its doctrines. She was beloved by neighbors and her memory will be reverened by all. To know her was to love her. She was tenderly laid to rest in the Fairview cemetery Saturday afternoon. She leaves to mourn her loss, eight children, a host of relatives, grand children and friends. But we realize our loss is Heaven's gain. "One who loved her." Billie Wood who has been seriously ill was carried to Houston Monday. Reports stated yesterday that pneumonia had developed. Ira Edwin Haynie and Fannie Goree Wood appeared in the US federal census of 1 April 1930 in Richards, Grimes County, Texas. Fannie Goree Wood became a widow at the 13 April 1956 death of her husband Ira Edwin Haynie. Fannie Goree Wood died on 11 June 1960 at age 80 in Richards, Grimes County, Texas, . 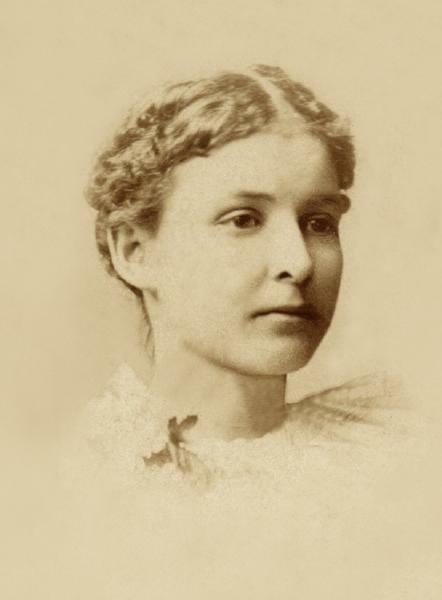 Her death was officially witnessed by Isabel Haynie. A single grave marker identifies the graves of Ira Edwin Haynie and Fannie Goree Wood.